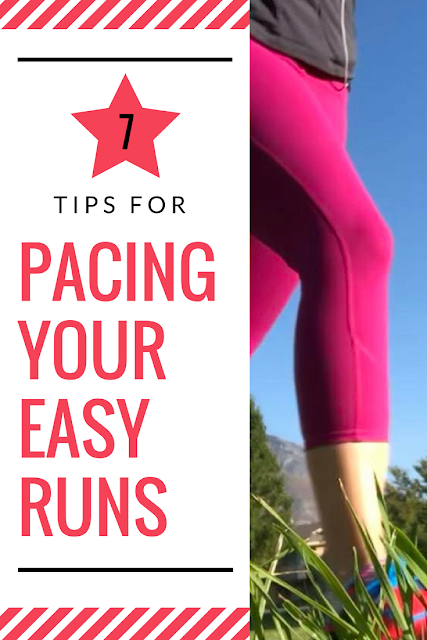 Sometimes, during our running, we need to take a step back from training for something and slow down our pace. Our bodies need some time every now and then to recover and rest a little bit more. 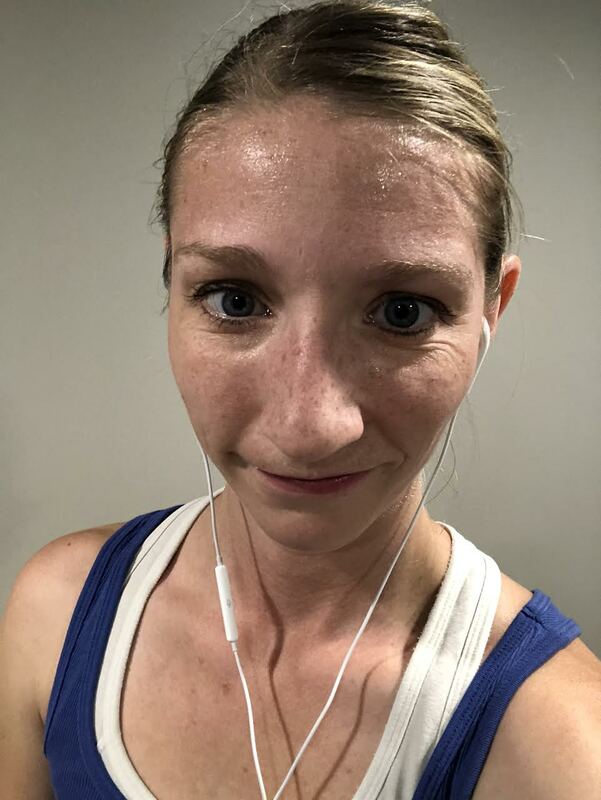 That doesn't mean we need to stop running altogether, it just means we need to slow our pace, not worry so much about hitting pace or a distance and just run because it makes you feel good or because it's helping you stay in shape or whatever other reason that gets you out the door. Running slower also helps us race faster when we get back into it. If we were to always push ourselves as if we were race training, it would wear our bodies out so that we wouldn't have the drive and strength we need come race day. It also raises the chance of an injury, and nobody wants to get injured or know an injured runner. (I'm sure that living with an injured runner is almost as bad as a being an injured runner). 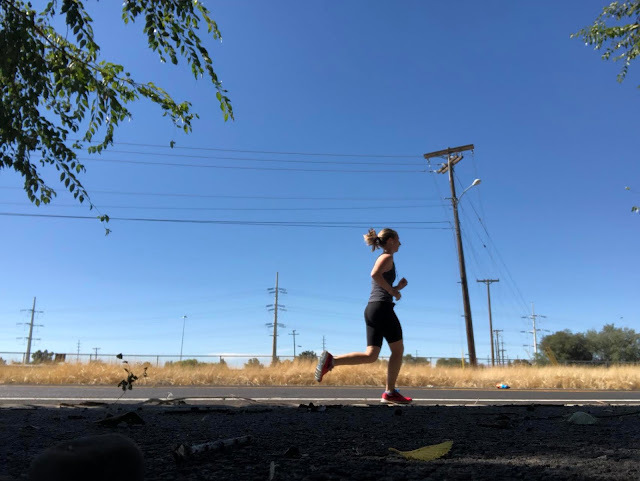 For me, this is sometimes harder than the times that I am training for a race because I have the tendency to push myself a little too hard when it's time for my body to recover. So there are somethings that I try to do to slow down my pace when I'm feeling frustrated about slow running. 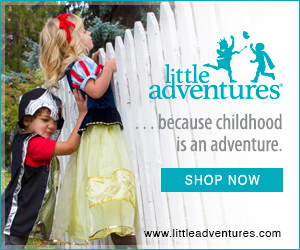 Running buddies are really great to help when it comes to pacing. Whether pacing for faster or slower, someone else there who has the same goals as you do can help you to keep your pace and focus on the target. When you need to run slower you're there to remind each other to slow down, (sometimes verbally and sometimes just by slowing down themselves). One way that I speed myself up is with faster music. So when it's time to slow down for a while I will either listen to calmer music, a podcast/book on tape or nothing at all. When I'm running without music or any other noise, I use this time to just clear my mind. I think about things that I want to change in my life or things that have been bothering me. And those slow runs end up being some of my favorite. I normally come back from those runs feeling so refreshed and calm and ready to tackle things for the day. Those are the runs that I would count as therapy. I focus on where I'm at as a runner and what I want to work on after my break is over. I come up with new goals that I feel like I need to work on and a plan to work towards them, but I don't let myself get anxious and push myself too hard. I remind myself over and over that my body needs the break and it's ok to be running slower. If you're someone who needs more than yourself as a reminder, you can even write in your slow paces into your training schedule. Just like seeing the paces you need to hit for your race training, having your slower pace written down is a good reminder for your brain and your body that it's ok to take these runs easier and slower. I haven't ever tried this, but I'm sure it would help you feel better about hitting slower paces. If this is something you really struggle with, it's also a good idea to take your "off time" to get in extra strength training instead of focusing only on running. This is a great time to find some new favorite strength training workouts and test them all out. Some of my favorite at home strength training workouts come from Grokker. 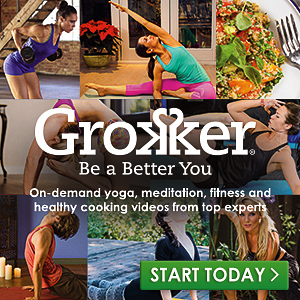 Grokker is a website that you can find a ton of different videos for at home workouts. It makes working out very convenient and the videos are great with trainers who explain the moves very well. You can get a 14 day free trial for Grokker HERE. Whenever you have your few weeks of off time, keep yourself sane by slow runs and strength training but make sure you are taking the time that your body and mind need to relax and recover from your hard months of work. When is your usually off time? What do you do to help your self stay on pace?